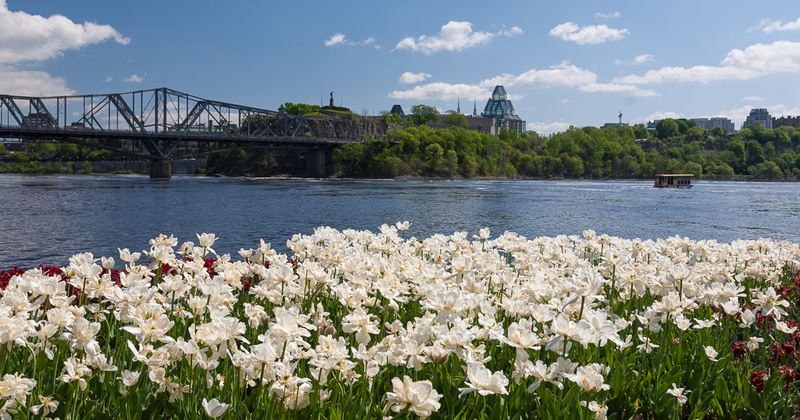 Changing weather patterns in recent times have meant that the tulips had long peaked ahead of the tour buses that normally make Ottawa a favoured destination on the Victoria Day long weekend. This past week broke that pattern, and anyone living or making their way here were rewarded with sunny skies and peak flowers. Many visitors to the area choose to stay at hotels on the Ottawa side of the river, and can take in the tulips at nearby hot spots like Dows Lake, the Rideau Canal and Major’s Hill Park amongst others. 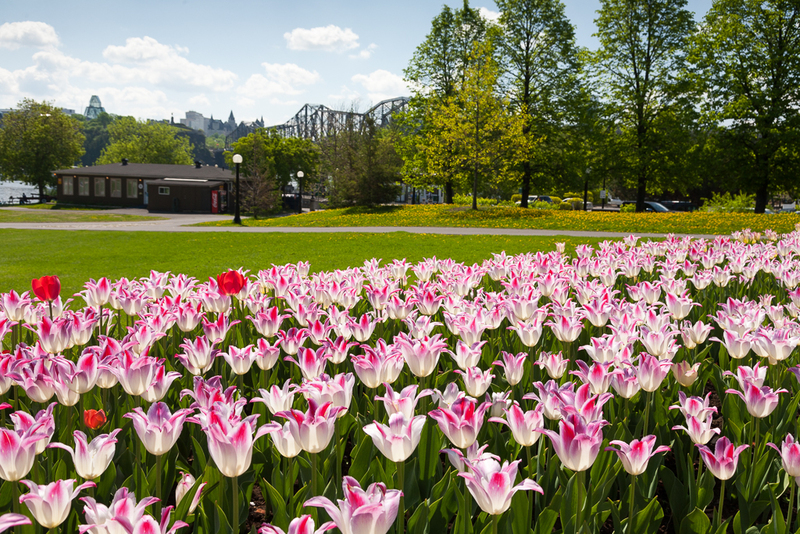 A pleasant walk on the Alexandra Bridge, or short trip via water taxi, gets you over to the Gatineau side of the river where the crowds are smaller, and the tulip displays equally beautiful. The path that runs along the river here will give you excellent views of Parliament Hill, the entrance to the Rideau Canal, as well as the National Art Gallery. Take advantage of your presence on this side of the river to visit the Canadian Museum of History while you are there!